If you do not receive the interview invitation by the end of February, your application can be considered unsuccessful. The admission tutor will interview all short-listed applicants in KL within a few days in the middle of March. One of the good things about this interview is that you don’t have to pay for it, and that it is held in a 5-star hotel. 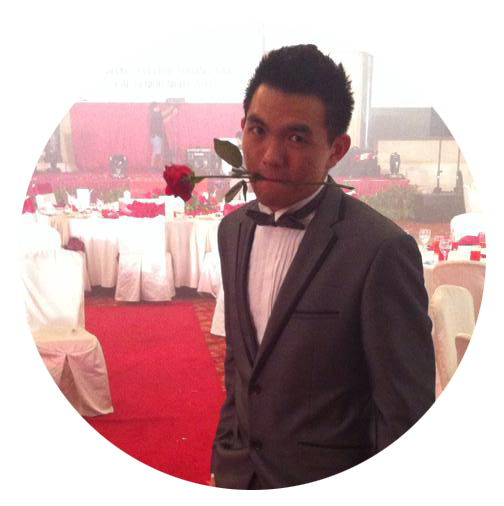 I had my interview on the 13th of March 2014 at Traders Hotel Kuala Lumpur. Well, it’s normal to feel stressed before an interview, but don’t you worry my peers! The interview was not that tense and awkward, and it turned out to be a nice one-to-one conversation with the admission tutor. My admission tutor was a very friendly guy! The purpose of this interview is for the admission tutor to further learn about your passion, motivation, potential and ability to succeed in the Chemical Engineering course on top of his prior understanding of you from your personal statement. You are encouraged to do some research/reading to prepare for the interview, but that doesn’t mean that you have to memorise everything. It’s important that you research on what really interests you, so that you can express your ideas naturally and fluently. Read your personal statement and clearly understand what you have written in order to avoid any conflict of ideas between what you have written in your Personal Statement (PS) and what you say during interview. Do further reading/research on things that you have written in your PS – for example, in your PS, you’ve written that you aspire to find alternative sources of energy to replace fossil fuels one day. In this case, you could possibly research on those “alternative sources” that you would like to look for, be it biodiesel or solar energy, and how will they be practical in Malaysia. You may not have to go into too much depth (but if you want to, why not?) on what you have researched on, but make sure that you will be able to express your ideas fluently from what you have read. I encourage this because when you tell the interviewer about your career aspirations (or any other topics), you will have more things to talk about, rather than just repeating the sentences you’ve written in your PS. Make sure you know what “Chemical Engineering” is. Try to think of anything not mentioned in PS that expresses your passion for the course, in order to enhance your admission chances. Do revision for A Levels (or other Pre-U qualifications) Mathematics, Chemistry and Physics. Arrive at the venue earlier; mingle with the other applicants to ease your nervousness (perhaps they will share their tips with you). This also gives you sufficient time for some final preparation before the interview. Wear appropriate formal and polite attire – it does not have to be too formal (e.g. tie and coat), but it’s up to you, as long as you feel comfortable. I wore a buttoned formal shirt (without tie), slack pants and leather shoes. My interviewer was very friendly, so do not feel stress and panic, just take it as a normal conversation with a friend. Do not feel shy to ask for hints if you are stuck at certain questions – they love “teach-able” and humble students. Turn the interview session into a discussion – don’t just answer the interviewer’s questions, try to ask your own questions when appropriate, and pay attention to him/her. When you are answering the interviewer’s questions, don’t just give short & brief answers; elaborate on your answers as well, and mention more related topics or issues. Also, body language is very important! Sway your hands or head maybe? Perhaps you could try googling “interview tips” to find more general tips for interviews. 2. Where are you from? How did you travel here (the interview venue)? 3. Which school are you from? 5. We then discussed about the haze in KL in March 2014. 6. Why do you want to read Chemical Engineering in university? Sounds like a lame question huh? But you will have to answer it – not just repeating the lines you wrote in your PS! Tell the interviewer more even though it’s not asked. Like what I mentioned above about further reading/research, this is where you are gonna impress the interviewer! During this part, as I was speaking, the interviewer stopped me at a few parts, and asked me questions based on what I have said. For example, he asked why I want to produce petroleum with lower sulphur content, doesn’t the current technology already produce petroleum with low sulphur content enough? I then told him about my findings regarding oxidative desulphurization and hydrodesulphurization which are currently being used in industries and it will be better if I can create another process which is able to greater reduce sulphur content in petroleum to minimise the acid rain problem …. …. Another example, at the energy part, initially I only talked about biodiesel, but then he asked me about the potential of having other alternative sources of energy in Malaysia.. I then talked about solar energy and hydroelectric energy – how they are practical in Malaysia, their advantages and disadvantages. So, some readings, common sense and background knowledge could be helpful when interviewer asks you unexpected questions. Not a hard question if you have studied A2 Mathematics differentiation. I had to demonstrate my workings on a paper to him. While solving the question, try to explain your workings to the interviewer (hence, interaction!). Not going to type out the workings here, so do it yourself! 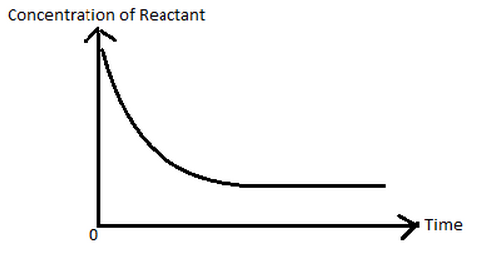 Why the concentration of reactant becomes constant after reaching a certain point? Give 2 reasons. What will happen to the shape of the graph if the temperature of the reaction is increased? Will the graph reach plateau at the same concentration? Why? Sketch the new curve on the graph above. What is the effect of increasing the reacting pressure on the rate of reaction if the reactant is liquid? How about if the reactant is gas? Why? I had to explain the answers to the interviewer verbally (in addition to sketching the curve on paper). So you have to be knowledgeable on the topic and explain all your reasoning to the interviewer. If you happened to say some wrong answers, just apologize: “I’m sorry that I made a mistake just now, and it should be ….” The interviewer might stop you while you’re speaking, to question your answers, but if you’re confident that you’re right, then just be confident! If I was not wrong, this is AS Level Chemistry. Everyone got different mathematics and science questions during the interview. The above were the questions I got, and luckily they weren’t too hard for me. 9. What do you expect from studying at Imperial? 10. Why choose Chemical Engineering at Imperial? 11. What do you think about the academic modules of Imperial Chemical Engineering course? What is its uniqueness compared to other universities’? Well, to answer questions 9 – 11, you need to do some reading on the website of Imperial’s Chemical Engineering Department, and also other related Imperial websites such as the “Life at Imperial” (like what I mentioned in the Preparation part above). After answering question 11, here comes the question 12. 12. From where you learnt about those information? I then answered Imperial’s website. 13. How did you know that what mentioned in Imperial’s website is true? Perhaps we lied about certain things. Well for this question I just said that I also read some other educational forums such as the Student Room so that I can see the corroboration. 14. How will you fund your studies at Imperial, if you’re selected? 15. What is the probability of you coming to Imperial, if you’re selected? The interviewer will request you to bring along a copy of your most recent results in the interview invitation email. The perks of this interview experience was: the admission tutor told me he would make me an offer right after the interview!! However, the official offer came 2 weeks later. I wish you all the best in applying to Imperial ChemEng! Hope to see you in Imperial next year! If you are selected for the interview, it means that the admission tutor is satisfied with your actual or forecasted results and personal statement, and likewise, everyone has bombastic results, so the key to success is your interview! Work hard to get good grades in your actual or forecasted results. You might just need to work way harder if you get the conditional offer – a few of my friends got a bloody condition of A* for all subjects (but this depends on the applicants’ ability every application cycle and might differ from year to year). I obtained my actual A2 results before the offer came in, so my offer didn’t come with any condition for grades. Chen Kian Woon is a high achiever who will be pursuing his Chemical Engineering degree at Imperial College London, UK under the Public Service Department (JPA) Scholarship. He loves travelling and now he can’t wait to travel around the beautiful Europe in the next 4 years! One of the most insane things he did in life was not taking the Petronas Scholarship offer to study in Australia, and hence, he is writing this article for you guys today!